There’s no shortage of things to do in New York City, but sometimes it’s unclear what’s a tourist trap and what’s really worth a visit. Here we’ve broken down what to avoid and ways to enjoy all the city has to offer like a true local. Yellow taxis. Yes, we know they’re the first thing that pops into your head when you imagine Manhattan, but the truth is, they’re a bit pricey and there’s usually traffic. 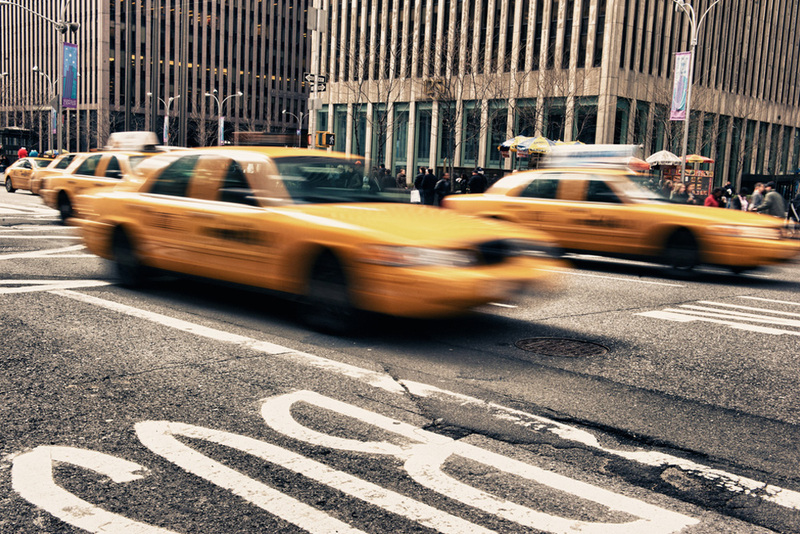 Yellow cab fares start at $2.50, and each ⅕ mile or minute is an additional 50 cents. That doesn’t include weekday surcharges during rush hour and the tip. We suggest you opt for the real NYC experience by hopping on the subway. It’s quicker, cheaper and you get to people watch. The New Yorker Hotel is located right next to the main intercity railroad station, Penn Station. In one minute, you’re in the station connected to the entire city. Just cross 8th Avenue to 34th to enter the historic station. Metro fare runs $2.75. Empire State Building. There are better options out there for visitors. The Empire State Building’s lines are long, observation decks are cramped and tickets are on the steep side. Instead, check out the Top of the Rock at Rockefeller Center. Indoor and outdoor viewing decks allow panoramic views of the city and the lines move quicker than at the Empire State Building -- which you get an absolutely great view of from the Top of the Rock! Tickets run $28-34. Another option is the Brooklyn Heights Promenade in Brooklyn, which offers views of the East River and Manhattan for free. You may recognize the elevated walkway in scenes from Annie Hall. The subway brings you there on the blue C train to Euclid Ave., then get off at High Street - Brooklyn Bridge Station. A 12-minute walk down Henry Street toward Pierrepont Street will get you there. Check out the directions from The New Yorker Hotel here. Little Italy. Holy cannoli, Little Italy has sure become little, with rising rents sending many local businesses to greener pastures. Over the years, Little Italy has lost its homey charm and become somewhat of a theme park. If you’re after the Italian-American food experience, then we recommend you head over to Arthur Avenue in the Bronx. Located in the Belmont section of the Bronx, Arthur Avenue is filled with all the Italian groceries and restaurants you desire. It’s a bit far, but you’ll be happy you checked it out. Check out the Subway route from The New Yorker Hotel here. Statue of Liberty. We’re by no means saying the Statue of Liberty is overrated, but we think the best view of Lady Liberty is from The Battery also known at Battery Park. This way, you avoid lines, a $18.50 ferry ride and a let-down if there’s crummy weather. Additionally, access to the statue’s crown is usually sold out months in advance, as just 300 visitors are allowed at the top per day. Instead, get lunch to go and enjoy the site from Battery Park. Total walking and subway time is about half an hour from The New Yorker Hotel. Check out the route here. Sightseeing cruises. Tickets to sightseeing cruises usually run pretty steep, and New Yorkers know that the Staten Island Ferry is free and offers just about the same views (it also runs 24/7!). The ferries are usually crowded with tourists fighting over airspace to take the best photo. Check out the skyline like a local and go on the Staten Island Ferry or the Governors Island Ferry ($2 round trip), which has many points of departure you can view here. Take a look at the latest deals at the New Yorker, a Wyndham Hotel!